The legal guidelines as quoted by the taxation law of Australia state according to the duty levied on an individual or a professional attached with a corporate organization based on the income of the concerned individual. Alteration in this duty has enabled the administrative body of Australia to execute its duties in a more effective manner. Furthermore, the tax that is a source of revenue generation for the concerned government that is subsequently utilized in the future developmental works of the concerned country (Xynas, 2011),. Hence in compliant with the task requirement a sincere initiative shall be undertaken to develop a report discussing the questions. The author shall focus on addressing the given question that is primarily inclined towards the legal aspects of taxation law of Australia. Important to mention the taxable income of diverse case studies shall also be included within the said report. In the table presented below the interest rate for income tax levied for the financial year 2015-2016 is given important to highlight that the table produced below has excluded 2% Medicare tax. Slab rate and provisions are evident to vary effectively in case of the professionals who are not citizens of this country. the table presented below shall depict the tax rate applicable for the non-resident people of australi earning $15,000. the tax rate presented for given for the financial year 2015-2016. The amount chargeable to the non-residents of aUSTRAlia will be $ 4,875. THE calculation presented below for an australian organiation with a taxable income of $15,000. Hence, the payable amount aPPLICAble to An Australian company is $ 4275.
below presented the slab rate for the financial year of 2016 and 2017. HENCE, the tax charged for the PERSON who is a resident of aUSTRAlia will be $ 45297. Therefore the amount chargeable for the professional who is an australian non-resident will be $ 53750. This concerned individual is entitled to pay the calculated amount within a given time period (Mirrlees and Adam, 2010). Tax chargeale for a business organization of australia origin having an income of $155,000 which is obviously within the taxable category. Hence the amount which is needed to be paid by the said Australian business organization is $ 44,175. Important to mention it is mandatory for every Australian company to pay this particular amount within the stipulated time frame as mentioned in the taxation law of australia. However 30% tax rate will not be prevalent as a result of the amendment in the act related with the tax law of Australia. According to the amendment given which is effective from july, 2015, 28.5% rate will be applicable for the business organizations of Australia with turnover of less than $ 2 million. An Australian professional who is residing in the said country with a taxable income of $255,000. in complaint with the income stated in the above mentioned point, the slab rate is fixed according to the income tax rate which is specific for Australia. Hence calculations are presented below according to this particular slab rate. Therefore referring to the above produced calculation it is justified to state that, the amount which is required to be paid by a professional who is a resident of australia for the taxable income of $ 255,000 is $ 87982. Furthermore this particular tax charged is mandatory for the concerned individual to pay within a specific time frame. Calculations presented below indicate that tax charged for the non-resident individual of Australia with the taxable income is $ 255,000. The slab rate has also been mentioned. With reference to the above produced calculation it can be stated that considering the case of non-resident of Australia it is applicable to pay $ 96,750 as a tax which is chargeable to the individual falling under this above said category. 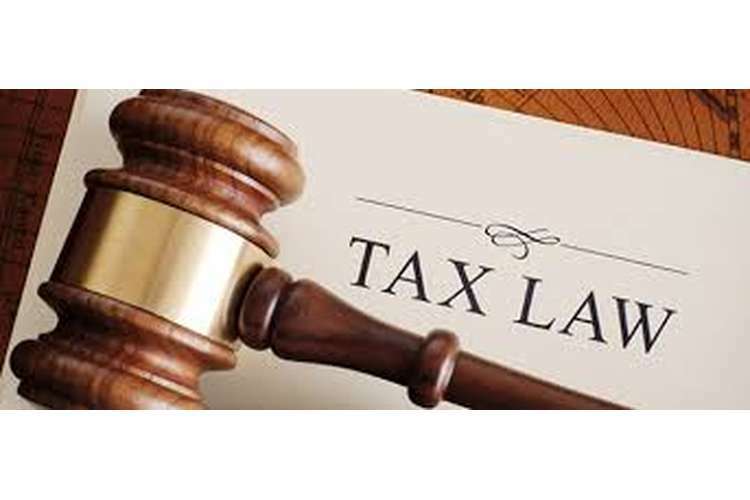 Similar to the above mentioned cases, it is mandatory for the concerned individual to pay this tax amount within a definite time period failing which shall be considered as a legal offence. however no exemption is allotted in such case (woellner et.al, 2011). In reference to the calculation performed above, it can be observed that company entitled to pay the required amount of tax which is $ 72,675. This calculated tax amount is charged with respect to the flat rate. Also this tax chargeable is in alignment with the provision of the financial year ending june 2016. The calculations produced above very clearly indicate the fact that business organizations of Australia falling under the category of small business entities are applicable to pay the calculated amount of tax to the Australian government which is with effective for the financial year ending 2016. Considering the above mentioned case both Medicare levy and Medicare levy surcharge shall be calculated with the help of ato. The table below has highlighted the important factors in this context. Referring to the above mentioned facts and figures it can be stated that, assess individual is not liable to pay the Medicare levy and Medicare levy surcharge for the year ending June, 2016 (ATO, 2016). The concerned individual is not entitled for any of the pension and seniors tax exemption and benefit. The individual do not have children Are Also applicable to this. Taxable income is $ 32,000 for the person residing in australia with the senior tax offset. Referring to the above produced situation, Medicare and Medicare surcharge will be applicable for it. Hence, it will be calculated for the senior individual with the taxable income of $ 32,000. Hence in this case, the concerned subject individual is liable to make a payment of Medicare levy which is $ 2.46. Important to note this is mandatory for the concerned individual to pay for the year ending June, 2016. Person does not have any children who are dependent on him in any manner. In alignment with the above mentioned situation whereby an individual who is a non-resident of Australia and having an income of $45,000, type of duty is not changed. So this duty will not be calculated for them. Hence, in this case a non-resident individual of Australia with the income of $45,000 will not be charged in addition to the duties of Medicare levy as well as surcharge (Oats, 2012). Considering this particular case, the taxable income of the company would not be taken into consideration for the Medicare and Medicare surcharge. Important to mention that this particular type of duties and taxes are levied on the individual only. Hence the concerned Australian company is exempted from such type of limit. Surcharge will not be considered due to availing of facility of private hospital. For an Australian individual of age 45 years along with a taxable income of $110,000 no health insurance is effective. Assess is not providing support to the any person. The concerned individual is not married or do not have de-facto. Incomes are assumed to be clubbed. No individual is dependent on the assesse. Assess is not taking services in Case of the private hospitals. Referring to above mentioned case, it is observed that Medicare levy has been calculated to $1500 with the birth of first child which will subsequently increase following every birth of the child. Also, in this particular case, there is no health insurance is applicable and also applicable for the couple has four children. So, there will be medical surcharge which is $4500. In accordance to the case scenario provided above it is evident that the concerned individual is a resident of Australia. Also the concerned subject is falling under the slab rate of $18,201- $37,000 wherein the income is the gross income of the assesse. For this above mentioned reason, the tax rate applicable for the concerned subject will be 19% as the income is more than $18,000. Rob is the Australian resident which is also not minor with respect to his present age. Medicare levy applicable for rob’s case is $634. It is evident that the clubbed income with spouse does not exceed $150,000. Referring to the provided case scenario, Rafael who is a resident of Australia is not minor person and is an adult. 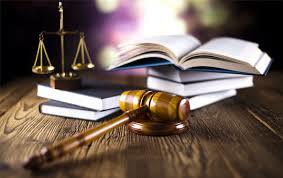 Therefore, the total clubbed income with spouse of the concerned subject individual is evident not to exceed $150,000. Also, Medicare levy is $1410 along with no use of offset in the question. Referring to the information produced in the previous segment that reflected different situation with respect to taxation rate applicable, emphasis has been given to address each situation. Hence it can be inferred that income and income tax rate both are important with respect to Australian tax law and it is legally mandatory for every earning individual of the s aid country to pay the required tax. Different tax rate is applicable for different income slab. Also Medicare levy and surcharge are equally important in calculating the income tax. The citizenship of an individual for the said country is also important for tax calculation. The age group and the number of children is also evident to play a deciding role for tax calculation for an earning professional of Australia. Taylor, G. and Richardson, G., 2012, “International corporate tax avoidance practices: evidence from Australian firms”, The International Journal of Accounting, 47(4), pp.469-496. Woellner, R., Barkoczy, S., Murphy, S., Evans, C. and Pinto, D., 2011, “Australian Taxation Law Select: legislation and commentar”,CCH Australia.